Use of drones by government for firefighting and surveillance by law enforcement has been well covered in the news. Here are some other possible uses of drones being explored by local government. A full list, including some that are unlikely to get much traction (crowd control by way of drone-delivered pepper spray?) is here. As we have written elsewhere, even the most innocuous proposed use is likely to elicit concerns from the public and from privacy advocates unless local government engages in careful planning and an open public process prior to use of drones. 1. Somerville, MA is exploring use of drones to examine snow covered houses in order to make sure that roofs don’t collapse. 2. 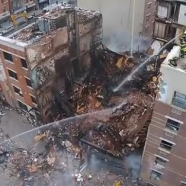 Greensboro, NC is considering use of drones to respond immediately and preliminarily to a 911 call to give first responders a preview of the scene. 3. Ann Arbor, MI is exploring using drones to map unpaved roads, discover potholes, and determine other road repair needs. 4. Duxbury, MA is considering using drones for purposes of building inspection and storm damage assessment. AB 56, written about in a June 20 blog post, was significantly amended by its authors on June 24, 2015. As originally written, the bill would have significantly limited local government’s use of drones for non-law enforcement purposes. As amended, it is now limited only to drone use by law enforcement and no longer contains the requirement that any local agency provide public notice before using a drone for any purpose whatsoever. AB 56 continues to require that a law enforcement agency obtain a warrant before using a drone to surveil private property. The bill, as amended, is schedule for a hearing before the Senate Public Safety committee on July 7, 2015. Senator Diane Feinstein wants to close what she describes as a “loophole” in current efforts to regulate commercial drone use. The loophole is the entire distinction between commercial and non-commercial use. 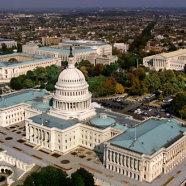 In particular to protect public infrastructure like airports, power plants, and bridges, Senator Feinstein last week proposed legislation that would expand the FAA’s pending regulation of commercial drones to include non-commercial use. The Senator’s proposed bill would require the FAA to develop rules for both recreational drone flight and the manufacture of the devices. In its flight regulations, the agency would have to set a limit on maximum altitude, restrictions on where the devices can be flown and prohibitions related to weather and time of day. For the manufacturing rules, the FAA would have to bar manufacturers from making drones that can fly beyond a certain altitude, require the installation of sensors or software to avoid collisions and mandate systems to prevent drones from being flown close to airports and other protected airspace, among many other stipulations. Google was granted a patent on the use of drones to provide emergency medical service. Patent 9,051,043, issued June 9, covers the use of unmanned aerial vehicles to provide emergency medical support. This is an example of yet another innovative idea for the use of drones as a platform for existing technologies. Perhaps a drone can deliver supplies to an incident location more quickly than an ambulance? Or transmit data to medical workers? 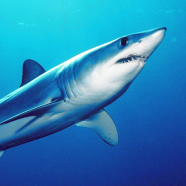 The City of Seal Beach’s lifeguards have been using drones to spot sharks swimming off local beaches. See report here. As has been the case in other jurisdictions, privacy rights have been raised as a concern and the City Council may be getting involved to establish a policy on use by lifeguards. As has been reported in a separate post on this blog, if AB 56 becomes law, the City would be required to set a policy and provide public notice before any further use. Three bills are wending their way through the State legislature that may have particular relevance to drone use relating to local government in California. AB 56 would require a local agency to develop use policies and provide public notice prior to use of a drone for any purpose. It also places warrant requirements on law enforcement use. Rather than earlier attempts at crafting specific warrant requirements, AB 56 relies on existing 4th amendment jurisprudence and requires that any use of drones 56 also by law enforcement complies with protections against unreasonable searches and seizures. AB 56 also places some restrictions on the use of drones by local agencies outside their jurisdictional boundaries—for instance use by law enforcement in an adjacent city. If enacted, this would be the first time legal authority has been expressly granted to local government to use drones for government purposes. SB 142 expands trespass law to include trespass by a drone over another’s land without the consent of the landowner or without legal authority. This bill may provide a helpful mechanism for public agencies looking to restrict drone use over public land. It may also create problems for a public agency that flies a drone over private property without a warrant. SB 271 criminalizes operation of a drone above the grounds of a public school without permission by the school principal. It contains an exception for journalistic use, and attempts to define mainstream journalistic use by a “publisher, editor, reporter, or other person connected with or employed by a newspaper, magazine, or other periodical publication, a radio or television station, or by a press association or wire service.” This definition may be a controversial one given the widespread posting on the internet of videos taken by drones. All three of these bills are worth tracking. 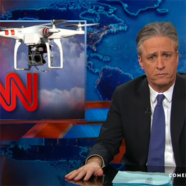 In March, 2015, Jon Stewart skewered CNN for its use of drones to cover the 50th anniversary of the Selma march. Nevertheless, CNN is continuing to explore use of drones it its news coverage. 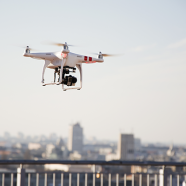 On May 6, 2015, the FAA announced that it has authorized CNN to participate in testing of drone flights in urban areas for newsgathering purposes. The key item being tested is whether and how the line-of-sight restrictions can be expanded. CNN is partnering with the Georgia Institute of Technology. 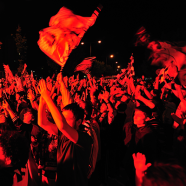 At its meeting on May 5, 2015, the City of Walnut Creek considered whether its police force should use drones to monitor late night rowdy behavior on weekends. Its police chief, Thomas Chaplin, told the City Council that he had “no desire to embark on [the] journey” of exploring use of drones. He expressed particular concerns regarding privacy issues arising from possible appearance of any drone video on YouTube. Interestingly, the skepticism over the use of drones was contrasted with more enthusiastic support for use of body cameras. Last week, I blogged on the fuzzy distinction between commercial and non-commercial drone use. This issue is of particular concern to Senator Feinstein, who is considering introducing a bill she is calling the Drone Safety Act. In testimony on April 22 before the Transportation, Housing, and Urban Development subcommittee, the Senator expressed concern that non-commercial drone use “could also be a safety risk in untrained hands and this is a gap in the legislative authority of the regulatory agency that prevents FAA from regulating drone manufacturers if their drones might be used for recreational purposes.” Among other things, Senator Feinstein is interested in requiring that drones come with “geo-fencing” technology pre-installed so that drones are automatically prevented from flying over specified areas—for instance security-sensitive infrastructure. Senator Feinstein’s measure, if introduced, is likely to require FAA certification for any private drone use, and would obliterate the distinction between commercial and non-commercial use. 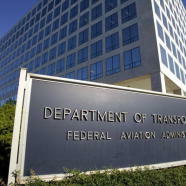 It would also provide the FAA with additional enforcement authority. This issue may be of particular concern to municipalities and local agencies exploring the limits to their authority to regulate drones flying in their airspace (see the Golden Gate Bridge’s concerns on this issue here). Applying traditional concepts of trespass to drone flight may be difficult under State law. Article by Steven Miller and Nicole Witt, published in the spring edition of Public Law Journal. Please click here to read the full article (PDF). 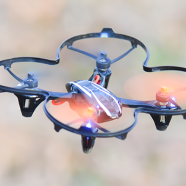 Pursuant to federal law, the FAA may regulate commercial drone use, but does not, with certain limited exceptions, have the authority to regulate recreational use of drones by hobbyists. The distinction can be frustrating, and may have little relevance to those looking to promote safety. What difference does it make, from a safety perspective, whether a drone is being flown for commercial or non commercial purposes? The Golden Gate Bridge, Highway and Transportation District has highlighted this issue in a letter it has posted to the FAA’s docket for its proposed rule on commercial drones. In the letter, the Golden Gate Bridge accurately points out that a drone taking pictures of security-sensitive areas of the Bridge poses a security threat regardless of whether the operator is being paid—indeed, non-commercial use may have more pernicious intent. Here’s an article about issues concerning drone use near the Golden Gate Bridge. The distinction between commercial and non-commercial use may be one without a difference in some respects. 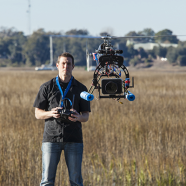 The FAA has recently taken the position that a hobbyist’s video taken from a drone may nonetheless constitute commercial use subject to FAA regulation if the video is posted to YouTube, because the YouTube website includes advertisements. This broad interpretation of “commercial use” could have significant implications if the FAA begins to regulate drone use that may have started out as recreational, but that it asserts became commercial only because it was posted on the internet. What if a hobbyist posts a video to a website that does not include ads, but is then linked to another website that includes advertisements? Do drone users have First Amendment rights to video taken by a drone-mounted camera and are those rights implicated by any government attempt to regulate the video after-the-fact? Another reason why it is so important to establish the boundaries of the FAA’s jurisdiction is that if the FAA can not regulate commercial drone use, then States and local municipalities and agencies likely can, without raising issues of federal preemption. But if the FAA asserts jurisdiction over drone use simply because video ends up on a website containing advertising, then local regulation may be limited—local agencies will have to rely on reasons other than safety as a basis for regulating drone use. Today, in a move that could fundamentally alter the future of commercial drone use in the United States, the FAA granted Amazon limited permission to begin testing its drone delivery service, Amazon Prime Air. The FAA’s permission, expressed in the form of an “experimental airworthiness certificate” is notable for the limits it imposes. First, Amazon may begin testing drones only in an isolated parcel of property in rural Washington State. Amazon may only fly drones below 400 feet, only during daylight hours, and only within the line of sight of the operator. The drone must be operated by a pilot with a certificate to fly a private manned aircraft. Amazon must report to the FAA each month, providing the number of flights conducted, pilot duty time per flight, unusual hardware or software malfunctions, any deviations from air traffic controllers’ instructions, and any unintended loss of communication links. Nevertheless, Amazon is the 600 pound gorilla in the commercial drone industry. Its commencement of testing—even as the FAA is in the midst of the public comment period for its proposed Rule on commercial drone use—signals that drone delivery is coming to an airspace near you. The only question is when. The European Union is far ahead of the United States when it comes to regulating commercial drone use. The EU’s position is much friendlier to commercial use than the recently proposed FAA rules in the United States. However, the EU has just released a report on the Civilian Use of Drones in the EU that is notable in one particular respect that could impact privacy laws and regulations presently being considered at various levels throughout the United States, both federal and State. The EU’s report recommends requiring identification of all drones and drone operators. The EU report considers such identification “essential to enforce existing and future laws governing [drone] use.” I have previously written about California legislative efforts to protect privacy from drone users. But no law in the United States to my knowledge has required identification of drone operators, or registration of drones. Privacy implications to drone operators could be significant. 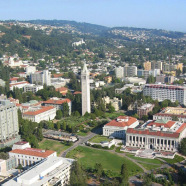 On Tuesday, February 25, the Berkeley City Council enacted a one-year moratorium on City use of drones—in particular use by law enforcement for any purpose. The original proposal was for a more significant, and longer, prohibition. But the Council adopted a more limited proposal that extends for only one year and includes an exemption that allows the Fire Department to use drones for disaster response purposes. The Council made clear that the moratorium would not affect private use, but any limitation on use by local government has the potential to affect the market for commercial drones. In addition, privacy concerns expressed by the Council could inform broader legislation to be considered in the future. To that end, the Council also voted to continue to study and draft more comprehensive drone policy for consideration a year from now. The City has not yet posted the minutes of the meeting or published a version of the resolution as adopted by the City Council. But here is a link to the Council agenda which includes a video of the discussion of the item. In what will certainly shape the future of commercial drone use in the United States, the FAA over the weekend issued its long awaited proposed rule on commercial drone use (PDF). Here’s a link to the proposed rulemaking. The proposed rule will now go through a lengthy public comment period. 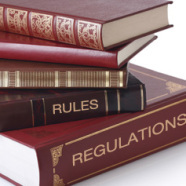 It is not expected that a final rule will be issued before 2017. As expected, the new proposed rule focus on safety and security. 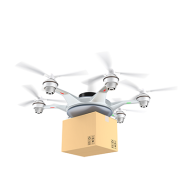 Some implications of the new proposed rule: First, the limitation on remote operation would seemingly prohibit any use of drones for delivery — for instance by Amazon. This limitation also effectively limits the kinds of apps that might be developed to control drones through a smart phone. Second, the proposed rule is silent on the all-important issue of privacy with regard to commercial drone use. Senator Ed Markey (D-Mass.) said the order was insufficient and that he would introduce legislation requiring stronger privacy rules. “It stops short of ensuring that the strongest safeguards are in place to protect privacy and promote transparency,” Markey said. “The FAA order merely directs NTIA to come up with a voluntary framework for privacy for commercial drone use. We need strong, enforceable rules for both commercial and government activities that require transparency about the collection, use, and retention of data collected by drones before they take flight.” Absent any federal legislation, State and local laws will be needed to clarify the privacy implications of increased drone use, including any warrant requirements. However, President Obama issued an executive order that accompanied the new FAA proposed rules. The President’s executive order — officially a Presidential memorandum titled “Presidential Memorandum: Promoting Economic Competitiveness While Safeguarding Privacy, Civil Rights, and Civil Liberties in Domestic Use of Unmanned Aircraft Systems” — requires federal agencies to implement guidelines and publicize policies by February 15, 2016. Such guidelines and policies must be updated every three years. These policies apply only to use of drones by government and do not directly impact commercial drone use. With regard to private commercial use of drones, the Presidential Memorandum requires that the Department of Commerce’s, National Telecommunications & Information Administration (NTIA) begin a process for creating privacy, accountability and transparency rules for commercial and private uses of drones. Any such rules will take at least a year to develop — perhaps longer — and will be voluntary. The FAA Rulemaking process is likely to elicit considerable comment and attention from the drone industry. Notwithstanding the importance of the federal regulations governing safety and security, there are still large legal gaps that remain to be filled by State and local legislators and regulators. Should homeowners be allowed to exclude drones from airspace above their property? 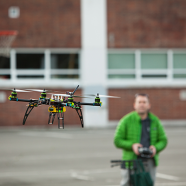 Does it matter if the drone is flying ten feet above the ground or 100 feet above the ground? Clearly, homeowners can not prohibit airplanes from flying overhead—federal law authorizes flight within “navigable airspace,” usually defined as above 400 feet. Just as clearly, property owners can prohibit trespassing on the surface of their land. But there is presently no legal clarity as to property rights in the airspace in which a commercial drone traditionally operates. SB 142 (Jackson), introduced on January 26, 2015, prohibits the unauthorized use of unmanned aerial vehicles in airspace directly over private property but below the 400 foot altitude clearly regulated by the FAA. “If a drone invades your private property, it is an extension of the person sending the drone,” said Sen. Hannah-Beth Jackson. In the absence of federal and State legislation, local municipalities in California may seek to regulate commercial drone use in the months ahead. There are numerous questions a City seeking to regulate drone use will have to answer and there are as yet no firm answers. Especially given the uncertainty regarding the preemptive nature of any federal regulation (or as-yet enacted State law), it is unclear the extent to which a City will be able to regulate the manner in which drones are used within their jurisdictions. To what extent may a City rely on safety or aesthetic concerns to limit the time and location where commercial drones may be used? Will a City be able to require a business license from anyone seeking to operate a drone for commercial purposes? Will a City be able to regulate the media’s use of drones as a replacement, or addition, to helicopters? May a City enact privacy protections beyond those included in any State law? So far, three measures concerning commercial drone use have been introduced in the current legislative session. AB 14 (Waldron) would create the Unmanned Aircraft Task Force. The task force would be responsible for formulating a comprehensive plan for state regulation of unmanned aircraft. The task force would be required to submit, among other things, a comprehensive policy draft and suggested legislation pertaining to unmanned aircraft to the Legislature and the Governor on or before January 1, 2018. 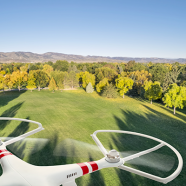 SB 142 (Jackson), introduced on January 26, 2015, prohibits the unauthorized use of unmanned aerial vehicles in airspace directly over private property but below the 400 foot altitude clearly regulated by the FAA. “If a drone invades your private property, it is an extension of the person sending the drone,” said Sen. Hannah-Beth Jackson. Finally, Assembly member Campos has reintroduced a measure similar to one vetoed by the Governor in the last legislative session that would specify warrant requirements for law enforcement seeking to use drones. Assembly member Campos stated, “drones are here to stay and my bill will be a vehicle for finding the right balance.” It may be that without the context of a pending election, the Governor will sign the measures should either of them be presented to him. We will track the progress of these bill and report on any new developments. In the 2013-2014 session, the California legislature adopted two bills concerning the commercial use of drones. Only one of them survived the Governor’s veto. AB 2306 is a modest expansion of existing privacy law that was signed into law by the Governor in September, 2014. It clarifies that existing laws defining what is an invasion of privacy apply to images or sound recordings captured by a drone. 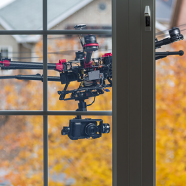 As of January 1, 2015, a person can be liable under existing invasion of privacy statutes if he or she uses a drone to capture a video or sound recording of a person engaging in activities in which the person has a reasonable expectation of privacy. See Civil Code 1708.8. AB 1327 was vetoed by the Governor on September 30, 2014. This measure would have required a local law enforcement agency to obtain a warrant prior to use of a drone, subject to a number of exceptions. 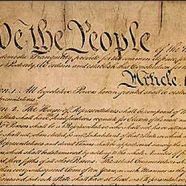 The measure was generally opposed by law enforcement agencies, who object to a strict statutory warrant requirement and prefer to rely on the courts to apply more existing Fourth Amendment jurisprudence more flexibly to new technologies. 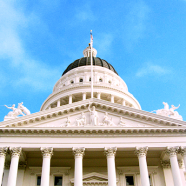 The California legislature has introduced bills in the current session that are functionally identical to AB 1327 in the hopes that the Governor will not veto the measure if presented it outside the context of an election campaign. Among the many novel legal questions presented by drone use in California is whether and to what extent insurance coverage will apply. Homeowner insurance may cover the amateur use so long as no commercial activity is involved. Numerous companies advertise coverage for commercial drone use. But the Federal Aviation Administration (FAA) current position is that all commercial drone use is subject to its jurisdiction. A drone operator that does not have a formal grant of authority from the FAA—to date the FAA has granted only 11 of what are called “Section 333 Exemptions” to commercial drone operators—is acting in the gray area between what is unauthorized and what is illegal. 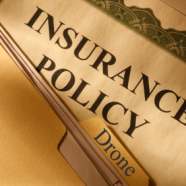 Obtaining insurance under such circumstances may be expensive, and a commercial drone operator who does not have a Section 333 Exemption may not have complete comfort that insurance recovery will be available when needed. Here’s a link to the December 10, 2014 hearing of the House Transportation and Infrastructure Committee hearing on the status of UAS integration, oversight and competitiveness. Congress as well as industry leaders are clearly getting frustrated with the speed of FAA action in implementing regulations governing commercial drone use. As I emphasize in a number of posts on this site, neither industry nor local government are waiting for the FAA. State and local regulations are where the legal action will be for at least the next year or two. This official FAA website lists the small but growing number of commercial firms that the FAA has authorized to operate drones in the United States. Most are in California. The FAA claims authority to regulate commercial drone use, and has begun to issue “Section 333 Exemptions” pursuant to that authority. This is supposed to be a legal website. So I suppose there are implications under CEQA—or maybe even food safety regulations—presented by this innovative drone application. But mostly, I just think it is really cool. Lots of legal questions presented by this unusual incident at TGIF. Was the accident caused by a failure of the drone, or operator failure? Was it a single accident or an example of a larger product failure? Was there insurance to cover this incident and what type of insurance would apply? Did TGIF engage an outside contractor to provide the drone service? What risk allocation methodologies were included in such a contract? 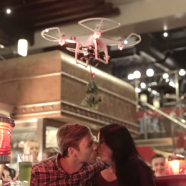 Was TGIF allowed to operate a drone inside its restaurant? One line of thought is that drones themselves are not the issue. 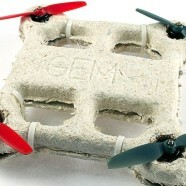 Rather, drones just provide a new platform for traditional activities. The use of private weaponized drones is a scary idea, but not an obviously illegal one. To the best of my knowledge, Wisconsin is the only state that has outlawed weaponized drones—and it passed such a law only in 2014. Here’s an op-ed piece from the Washington Post urging, among other things, a complete ban on weaponizing drones for private use: Self-Defense Against Overflying Drones. Published on Law360, this video clarifies the current status of drones and their use in California. As drone technology is advancing, new uses of drones are similarly arising almost every day. Here are a number of articles about the use of drones to assist in fighting fires. 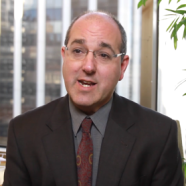 Is the video a public record under the California Public Records Act? What if the video captures pictures or sound recordings of information that arguably is private, or contains Personal Identifiable Information? Is a fire district, or other fire fighting agency, liable for damages or injury caused by the drone use? Could private drone use, for instance by the media, interfere with a public emergency responder’s use, and what are the First Amendment rights to use a drone in a situation where a public drone is already being used? 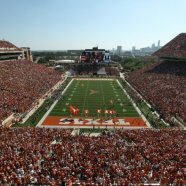 On October 27, 2014, the FAA updated its ban on airplane flights over open-air stadiums with 30,000 or more spectators to include drones. For the first time, the FAA Notice also explicitly states that violators could be imprisoned for up to a year. The ban doesn’t apply to indoor arenas. Drones are now so small and so easily secreted in a backpack, that operators of indoor arenas also have cause for concern.